Carolyn Prinster in memory of her late husband, Teo Prinster, has donated all of the funds to renovate the new building. Leo T. Prinster, affectionately known as “Teo,” is a past board member and board president of Literacy Outreach. Literacy Outreach is grateful to have this opportunity. Renovations of the new Literacy Outreach interior begin. 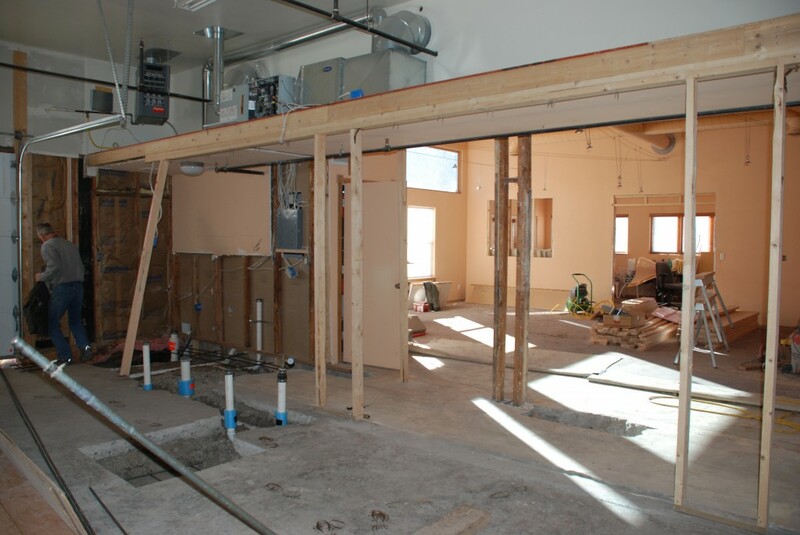 Walls have been removed and concrete demolished for the new bathrooms being added to the Teo Prinster Learning Center. Literacy Outreach is relocating in late March to 1127 School Street in downtown Glenwood Springs. For the first time in our 26 year history, Literacy Outreach staff will enjoy windows and sunbeams in our office!